^ a b c Sources have provided conflicting figures on the area of Istanbul. The most authoritative source on this figure ought to be the Istanbul Metropolitan Municipality (MMI), but the English version of its website suggests a few figures for this area. One page states that "Each MM is sub-divided into District Municipalities ("DM") of which there are 27 in Istanbul" [emphasis added] with a total area of 1,538.9km2 (594.2 sq mi). However, the Municipal History page appears to be the most explicit and most updated, saying that in 2004, "Istanbul Metropolitan Municipality's jurisdiction was enlarged to cover all the area within the provincial limits". It also states a 2008 law merged the Eminönü district into the Fatih district (a point that is not reflected in the previous source) and increased the number of districts in Istanbul to thirty-nine. That total area, as corroborated on the Turkish version of the MMI website, and a recently updated Jurisdiction page on the English site is 5,343km2 (2,063 sq mi). ^ a b c The foundation of Byzantion (Byzantium) is sometimes, especially in encyclopedic or other tertiary sources, placed firmly in 667 BC. However, historians have disputed the precise year the city was founded. Commonly cited is the work of 5th-century-BC historian Herodotus, which says the city was founded seventeen years after the city of Chalcedon, which came into existence around 685 BC. However, Eusebius, while concurring with 685 BC as the year Chalcedon was founded, places Byzantion's establishment in 659 BC. Among more modern historians, Carl Roebuck proposed the 640s BC while others have suggested even later. Further, the foundation date of Chalcedon is itself subject to some debate; while many sources place it in 685 BC, others put it in 675 BC or even 639 BC (with Byzantion's establishment placed in 619 BC). As such, some sources have opted to refer to Byzantium's foundation as simply located in the 7th century BC. ^ The United Nations defines an urban agglomeration as "the population contained within the contours of a contiguous territory inhabited at urban density levels without regard to administrative boundaries". The agglomeration "usually incorporates the population in a city or town plus that in the suburban areas lying outside of, but being adjacent to, the city boundaries". Figures dated 1 July 2011 place the populations of the agglomerations of Moscow and Istanbul at 11.62 million and 11.25 million, respectively. The UN estimates that the agglomeration of Istanbul will exceed the agglomeration of Moscow in population by 2015 (with 12.46 million and 12.14 million, respectively), although extrapolation suggests that the former will not surpass latter until the second half of 2013. A revision with 2013 data is due in the first half of 2014. ^ a b Janin, Raymond (1964). Constantinople byzantine. Paris: Institut Français d'Études Byzantines. p. 10f..
^ a b Georgacas, Demetrius John (1947). “The Names of Constantinople”. Transactions and Proceedings of the American Philological Association (The Johns Hopkins University Press) 78: 347–67. doi:10.2307/283503. JSTOR 283503. ^ a b c d Necdet Sakaoğlu (1993/94a): "İstanbul'un adları" ["The names of Istanbul"]. In: 'Dünden bugüne İstanbul ansiklopedisi', ed. Türkiye Kültür Bakanlığı, Istanbul. ^ According to the Reallexikon für Antike und Christentum, vol. 164 (Stuttgart 2005), column 442, there is no evidence for the tradition that Constantine officially dubbed the city "New Rome" (Nova Roma or Nea Rhome). Commemorative coins that were issued during the 330s already refer to the city as Constantinopolis (see e.g. Michael Grant, The climax of Rome (London 1968), p. 133). It is possible that the Emperor called the city "Second Rome" (Deutera Rhome) by official decree, as reported by the 5th-century church historian Socrates of Constantinople. ^ An alternative derivation, directly from Constantinople, was entertained as an hypothesis by some researchers in the 19th century but is today regarded as obsolete; see Sakaoğlu (1993/94a: 254) for references. ^ Bourne, Edward G. (1887). “The Derivation of Stamboul”. American Journal of Philology (The Johns Hopkins University Press) 8 (1): 78–82. doi:10.2307/287478. JSTOR 287478. ^ Necdet Sakaoğlu (1993/94b): "Kostantiniyye". In: 'Dünden bugüne İstanbul ansiklopedisi', ed. Türkiye Kültür Bakanlığı, Istanbul. ^ A.C. Barbier de Meynard (1881): Dictionnaire Turc-Français. Paris: Ernest Leroux. ^ a b "Istanbul", in Encyclopedia of Islam. ^ a b Chandler, Tertius; Fox, Gerald (1974). 3000 Years of Urban Growth. London: Academic Press. ISBN 978-0-12-785109-9. ^ Kottek, Markus; Grieser, Jürgen; Beck, Christoph; Rudolf, Bruno; Rube, Franz (June 2006). “World Map of the Köppen-Geiger climate classiﬁcation updated”. Meteorologische Zeitschrift 15 (3): 259–263. doi:10.1127/0941-2948/2006/0130. http://www.schweizerbart.de/resources/downloads/paper_free/55034.pdf 2011年2月27日閲覧。. ^ Peel, M. C.; Finlayson, B. L.; McMahon, T. A. (2007). “Updated world map of the Köppen-Geiger climate classiﬁcation”. Hydrology and Earth System Sciences 4 (2): 439–473. doi:10.5194/hessd-4-439-2007. http://www.hydrol-earth-syst-sci-discuss.net/4/439/2007/hessd-4-439-2007.pdf 2011年2月27日閲覧。. ^ Kindap, Tayfin (2010-01-19). “A Severe Sea-Effect Snow Episode Over the City of Istanbul”. Natural Hazards 54 (3): 703–23. ISSN 1573-0840. http://www.springerlink.com/content/cu66841r30p20v72/ 2012年10月15日閲覧。. ^ Erder, Sema (November 2009). “Local Governance in Istanbul” (pdf). Istanbul: City of Intersections. Urban Age (London: London School of Economics): 46. http://v0.urban-age.net/publications/newspapers/istanbul/media/UrbanAgeIstanbulNewspaper_en.pdf 2012年7月16日閲覧。. ^ Odabaşı, Attila; Aksu, Celal; Akgiray, Vedat (December 2004). “The Statistical Evolution of Prices on the Istanbul Stock Exchange”. The European Journal of Finance (London: Routledge) 10 (6): 510–25. doi:10.1080/1351847032000166931. 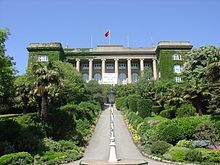 ^ Baytop T. Türk Eczacılık Tarihi Araştırmaları (History of Turkish Pharmacy Researches) Istanbul. 2000:12-75. ^ Hensel, Michael; Sungurogl, Defne; Ertaş, Hülya, eds (2010-01-22). “Turkey at the Threshold”. Architectural Design (London: John Wiley & Sons) 80 (1). ISBN 978-0-470-74319-5. ^ Erdem, Selim Efe (2009年7月1日). “İstanbul'a 49 kardeş” (Turkish). Radikal. http://www.radikal.com.tr/haber.php?haberno=94185 2009年7月22日閲覧. "49 sister cities in 2003"
ʻAner, Nadav (2005). Pergola, Sergio Della; Gilboa, Amos; Ṭal, Rami. eds. The Jewish People Policy Planning Institute Planning Assessment, 2004–2005: The Jewish People Between Thriving and Decline. Jerusalem: Gefen Publishing House Ltd. ISBN 978-965-229-346-6. Baynes, Norman H. (1949). Baynes, Norman H.; Moss, Henry S. L. B. eds. Byzantium: An Introduction to East Roman Civilization. Oxford, Eng. : Clarendon Press. ISBN 978-0-674-16531-1. Davidson, Linda Kay; Gitlitz, David Martin (2002). Pilgrimage: From the Ganges to Graceland: An Encyclopedia. 1. Santa Barbara, Calif.: ABC-CLIO. ISBN 978-1-57607-004-8. De Sélincourt, Aubery (2003). Marincola, John M. ed. The Histories. Penguin Classics. London: Penguin Books. ISBN 978-0-14-044908-2. Dumper, Michael; Stanley, Bruce E., eds (2007). Cities of the Middle East and North Africa: A Historical Encyclopedia. Santa Barbara, Calif.: ABC-CLIO. ISBN 978-1-57607-919-5. Efe, Recep; Cürebal, Isa (2011). “Impacts of the "Marmaray" Project (Bosphorus Tube Crossing, Tunnels, and Stations) on Transportation and Urban Environment in Istanbul”. In Brunn, Stanley D. Engineering Earth: The Impacts of Megaengineering Projects. London & New York: Springer. pp. 715–34. ISBN 978-90-481-9919-8. Göktürk, Deniz; Soysal, Levent; Türeli, İpek, eds (2010). Orienting Istanbul: Cultural Capital of Europe?. New York: Routledge. ISBN 978-0-415-58011-3. Holt, Peter M.; Lambton, Ann K. S.; Lewis, Bernard, eds (1977). The Cambridge History of Islam. 1A (illustrated, reprint ed.). Cambridge, Eng. : Cambridge University Press. ISBN 978-0-521-29135-4. Keyder, Çağlar, ed (1999). Istanbul: Between the Global and the Local. Lanham, Md. : Rowman & Littlefield. ISBN 978-0-8476-9495-2. Köksal, Özlem, ed (2012). World Film Locations: Istanbul. Bristol, Eng. : Intellect Books. ISBN 978-1-84150-567-1. Köse, Yavuz (2009). “Vertical Bazaars of Modernity: Western Department Stores and Their Staff in Istanbul (1889–1921)”. In Atabaki, Touraj; Brockett, Gavin. Ottoman and Republican Turkish Labour History. Cambridge, Eng. : Cambridge University Press. pp. 91–114. ISBN 978-0-521-12805-6. Morris, Ian (October 2010) (pdf). Social Development. Stanford, Calif.: Stanford University. http://ianmorris.org/docs/social-development.pdf 2012年7月5日閲覧。. Reinert, Stephen W. (2002). “Fragmentation (1204–1453)”. In Mango, Cyril. The Oxford History of Byzantium. Oxford, Eng. : Oxford University Press. ISBN 978-0-19-814098-6. Sanal, Aslihan (2011). Fischer, Michael M. J.; Dumit, Joseph. eds. New Organs Within Us: Transplants and the Moral Economy. Experimental Futures (illustrated ed.). Chapel Hill, N.C.: Duke University Press. ISBN 978-0-8223-4912-9. Schmitt, Oliver Jens (2005) (German). Levantiner: Lebenswelten und Identitäten einer ethnokonfessionellen Gruppe im osmanischen Reich im "langen 19. Jahrhundert". München: Oldenbourg. ISBN 978-3-486-57713-6. Tigrek, Sahnaz; Kibaroğlu, Ayșegül (2011). “Strategic Role of Water Resources for Turkey”. In Kibaroğlu, Ayșegül; Scheumann, Waltina; Kramer, Annika. Turkey's Water Policy: National Frameworks and International Cooperation. London & New York: Springer. ISBN 978-3-642-19635-5. Time Out Guides, ed (2010). Time Out Istanbul. London: Time Out Guides. ISBN 978-1-84670-115-3. Turan, Neyran (2010). “Towards an Ecological Urbanism for Istanbul”. In Sorensen, André; Okata, Junichiro. Megacities: Urban Form, Governance, and Sustainability. Library for Sustainable Urban Regeneration. London & New York: Springer. pp. 223–42. ISBN 978-4-431-99266-0. Wedel, Heidi (2000). Ibrahim, Ferhad; Gürbey, Gülistan. eds. The Kurdish Conflict in Turkey. Berlin: LIT Verlag Münster. pp. 181–93. ISBN 978-3-8258-4744-9.